In 2012 when the Goodluck Jonathan administration arbitrarily hiked the pump price of petrol, I was the first to suggest an“Occupy Nigeria” strategy to force the government to reverse the hike. I didn’t anticipate that my suggestion would fly. But it did. It ignited a massive social convulsion. Four years later, here I am again making the same appeal. But I doubt that my appeal will resonate with many people this time around; President Buhari’s tight emotional grip on the northern and southwestern middle class would likely frustrate the formation of the kind of remarkably unexampled pan-Nigerian solidarity that confronted former President Jonathan. But here are the facts: As I wrote in one of my Facebook status updates, with this latest insensitive pump price hike of petrol disguised as “deregulation,” “subsidy removal,” or suchlike inane mumbo jumbo, Nigeria is now officially the hottest hellhole on earth. If you doubt me, follow me. As followers of this column know, I live in the United States. So I am going to compare the new pump price regime announced by Minister of State for Petroleum Ibe Kachikwu with what obtains here. At N145 per litre, the price of petrol is now officially lower here in the United States than it is in Nigeria. At 145 naira per litre, Nigerians will pay nearly the equivalent of $3 per gallon (using the delusive official exchange of 199 naira to a dollar) of petrol. No US state, not even the state of California that traditionally has high petrol prices, pays up to $3 per gallon of petrol at the moment. In the states of Oklahoma, Missouri, Kansas, Texas, Louisiana, and Mississippi, a gallon (i.e. 4 litres) of petrol costs less than $2. In my state, Georgia, it is a little above $2. (It was actually less than $2 until a few weeks ago). In California, the state with the highest petrol price in the US, it is $2.7. Why should Nigerians pay $3 for a gallon of petrol at a time of a global slump in the price of petrol—and when they are at their most vulnerable state? I don't care what pseudo-scientific gobbledygook defenders of the price hike advance; it's simply unconscionable and immoral that Americans should pay less for petrol than Nigerians, especially given that the minimum wage in Nigeria is a measly 18,000 naira monthly, which isn't even paid regularly in most states. N18,000 is the equivalent of $90—if you use the official exchange rate of 199 naira to a dollar. The minimum wage in America is $1,160 a month, which is equivalent to N231,000—again using the official exchange rate, which we all know isn't a true reflection of the naira's real worth vis-a-vis the dollar. (It is over 300 naira to a dollar in the black market). I am not an economist and don't pretend to even understand economics or the arcane logic of perpetual “deregulation” or “subsidy removal,” but I do know that any "deregulation" or "subsidy removal" that asks a person who earns N18,000 to pay more for petrol than a person who earns N231,000 is conscienceless and indefensible. It’s a death sentence by instalment. It isn’t only America that now pays less for petrol than Nigeria. Let’s look at other oil-producing countries. In Saudi Arabia a gallon of petrol goes for $0.64. In Venezuela it is $0.38. In the United Arab Emirates it is $1.77. In Russia it is $0.63. In Canada it is $2. In Algeria, Angola, Ecuador, Iran, Iraq, Kuwait, it costs less than $1. And just so nobody deceives you, America does subsidize petrol for its citizens. Every responsible, socially sensitive government does. It is only Nigerian governments that interminably tell their citizens that they have no responsibility to make life a little easier for the people they govern. American state governments subsidize petrol prices for their citizens through low taxes on their oil companies. During the 2008 presidential election, for instance, Hilary Clinton and John McCain, in fact, advocated a “gas tax holiday” regime. That meant oil companies would not be taxed at all for an extended period so that fuel prices would come down by about 18.4 cents a gallon for petrol and about 24.4 cents for diesel. According to TIME, “politicians’ refusal to increase gas taxes in line with inflation and construction costs starves needed infrastructure of funding.” Sounds familiar? The recurrent excuse governments in Nigeria advance to increase fuel prices is that the government needs money for “infrastructural development.” But no responsible government starves its people to death because it wants to build infrastructure. Only the living use infrastructure. “In Iowa, which hasn’t raised its tax in 22 years, a citizen advisory panel recommended an 8 cent to 10 cent bump per gallon in November. Republican Gov. Terry Branstad quickly took any increase off the table, instead asking his Department of Transportation to look for savings. So an American state was in dire need of money to fund projects that would benefit the people, and a panel made up of professionals not affiliated with the government recommended that the government increase the pump price of petrol to raise cash. What did the government do? It said no. It said increasing petrol prices by just 8 or 10 percent would impose an unbearable burden on its citizens. It then said the state should raise money by SAVING. And this is a state in the wealthiest country on earth. Do you see any parallels here with Nigeria? No government saves in Nigeria. All they do is raid the national treasury to subsidize their lavish lifestyles (and those of their cronies), and tell the masses of the people that they don’t deserve any subsidy. 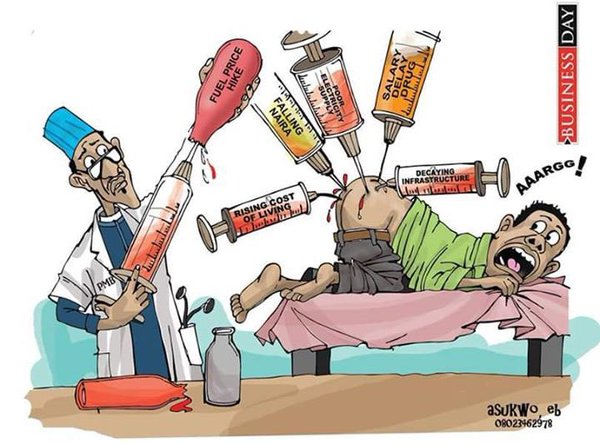 President Buhari ISN’T the same person that he was before he assumed power. He is now on the “other” side. As Frederick Douglass says, “Power concedes nothing without a demand. It never did and it never will.” It is time to #occupy Nigeria again and demand a reversal of this obtuse price hike. 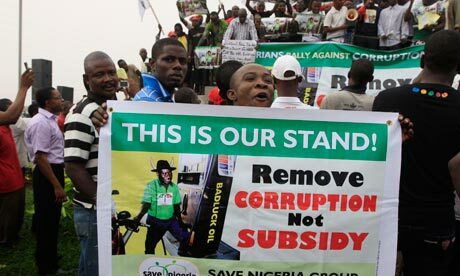 Fuel Subsidy Removal: Time to "Occupy" Nigeria! 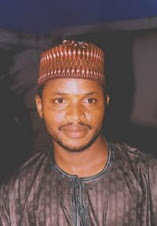 The Grammar and Vocabulary of "Fuel Subsidy Removal"